Extremely low lint 403ply extralong staple Egyptiangrown cotton. 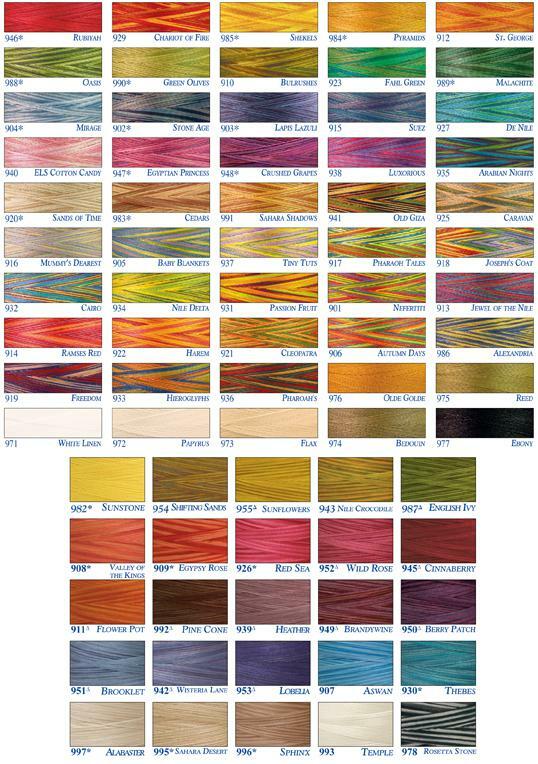 Variegated colors are precisiondyed with one inch color changes. Great for Machine Quilting. The low lint allows for more time quilting and less time cleaning your machine. Available in 133 colors.